Exclusive and stylish Coffee tables have the capability of making any room special and attractive to reunite your guests and family on the most special moments. 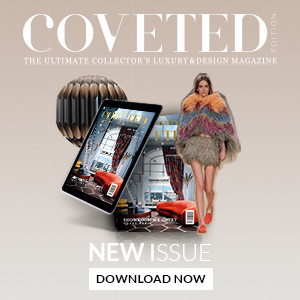 There’s plenty to choose from, but it’s a fact that a coffee table can make a room look astonishing with amazing details in the interior design. In this article, we will suggest ten tables for your living room or dining room which are simply remarkable. 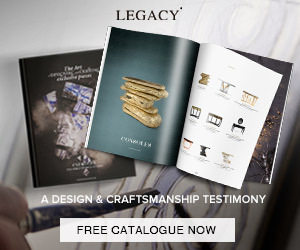 We begin with an amazing luxury piece of furniture from Boca do Lobo. 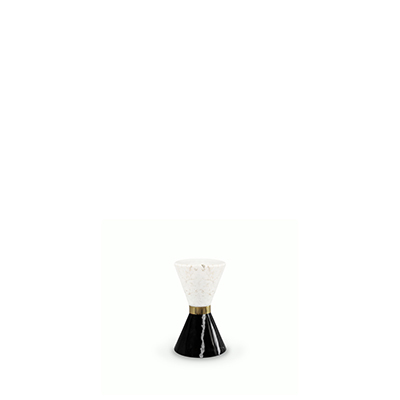 The Lapiaz Black, imagine a stone frieze and freshly cracked to show the entire world a rich, golden interior. That’s the concept of this iconic and unique modern coffee table. 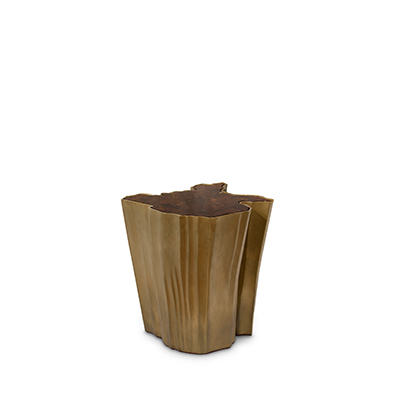 Secondly, we also have a luxurious coffee table with a golden exclusive design which is perfect to enrich every space. A wonderful environment with exquisite touches. The next set is made with a marble coffee table perfect for any home decor. Inserted in a nature environment to create the most peaceful ambiance. With a glamorous and fancy romantic scene behind this small room is perfect for this coffee table in it. Simple but very inspirational. This following scene is made with luxury as is best. This unique coffee table fits perfectly with the vibe of the room, combining perfectly with the sofas and the rest of the furniture. 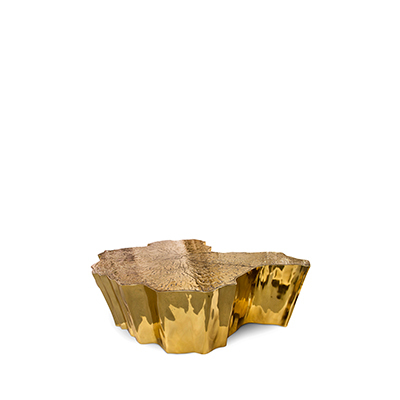 The second piece of furniture by Boca do Lobo in this list. This time it’s the Empire, built from mahogany wood, and features a polished brass surface. The Empire Table is to find itself in the very heart of the most memorable of events and celebrations. Mosques are not only places for the spiritual cult but also majestic architectural works. 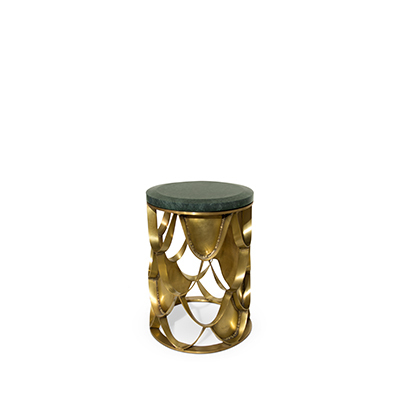 This piece from BRABBU is the MECCA II, it features brushed aged brass matte columns that resemble the architectural heritage from the mosques. This oval coffee table will enhance any modern interior design. Made with glass this coffee table is capable of matching with any sort of design. 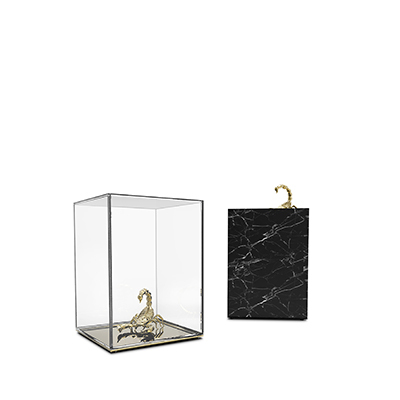 Similar to the dramatic transformation and the sudden change in the animal’s body structure, Metamorphosis Table by Boca do Lobo experiences new unexpected design techniques, noble finishes through a meticulous artistic process. 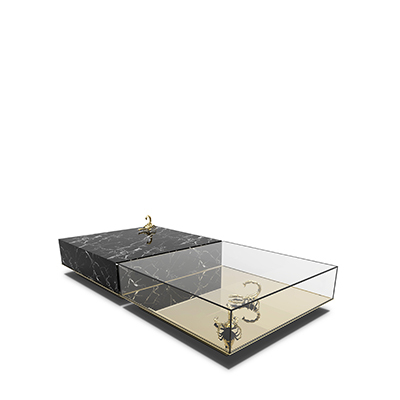 The coffee table is composed of two fragments, finished in mirror and noble marble and beautified by the presence of golden creatures that are prepared for their ultimate metamorphosis.